Welcome to Ilshara: The Lands of Exile! 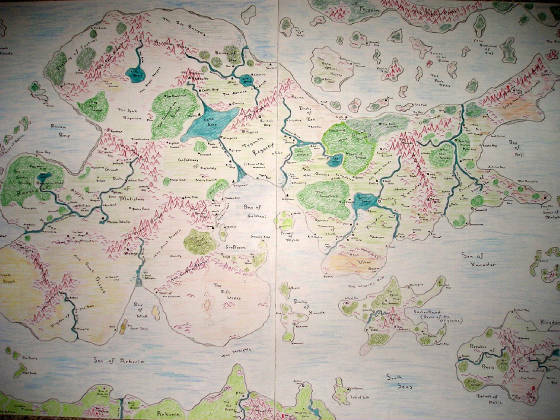 This is a Fantasy World Setting intended for use with most Fantasy RPG systems. 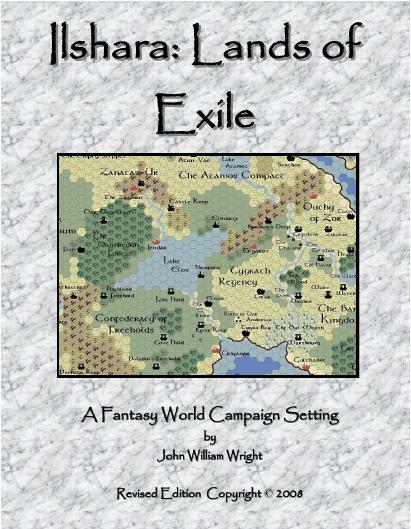 Below you will find the Downloads for the Gazetteer of Ilshara: Lands of Exile, the Ilshara Hex Map in PDF for easy use, and a map of the City of Jendar. The Gazetteer below uses narrow l/r margin format. If you so desire to print and bind a copy, the document should be taken to a local printing/copy store (Kinkos, I used Office Max, etc.) where cardstock can be added for covers and binding added - I recommend Coil binding, although Comb, Tape, or even Book binding could also work. *** NEW!! 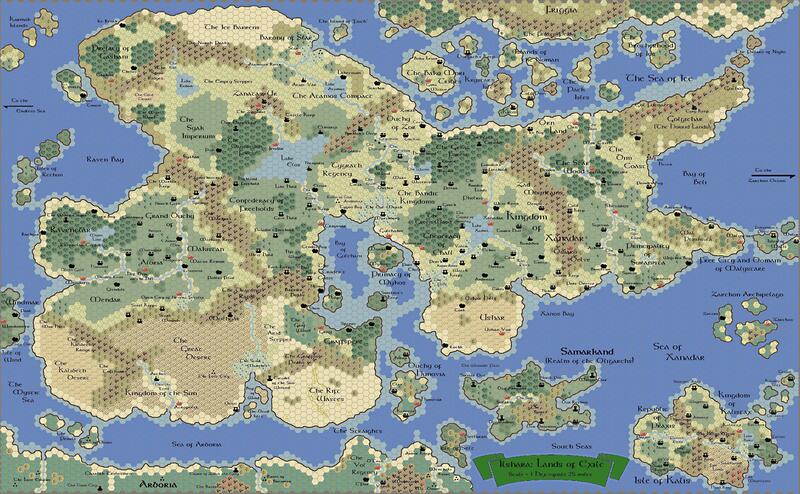 Revised Ilshara Gazetteer, now more system-neutral for easier use across games! ** NEW!!! 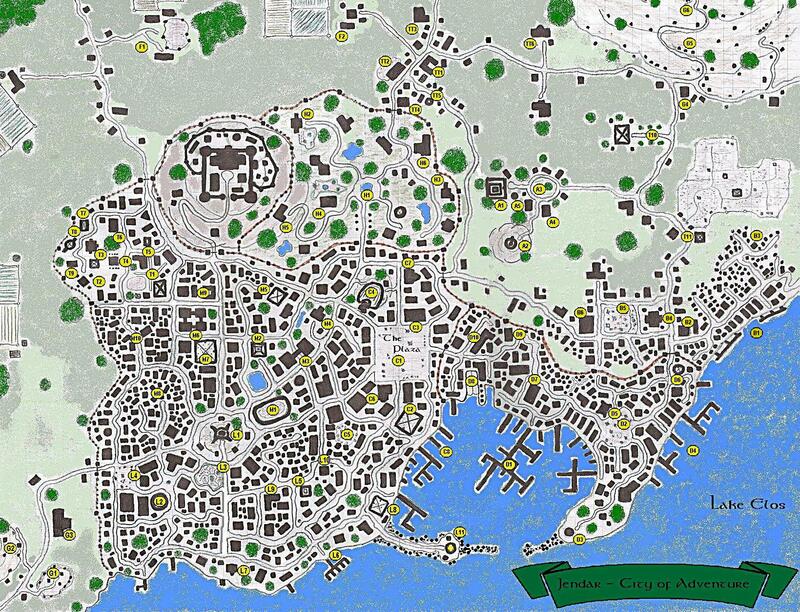 Jendar - City of Adventure Map in PDF one-sheet!